What’s the difference between graduation and commencement? Receiving approval to graduate is confirmation that you have met all university requirements to attain your degree. 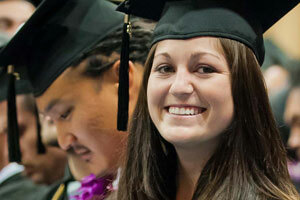 Commencement is the ceremony where you and your community celebrate this accomplishment. Visit the Graduation and Commencement website to file for graduation, register for a ceremony, see a graduation checklist, and more.